Clear Resealable Plastic Bags With white Block- 6" x 9"
6" x 9" Resealable Plastic bags with white block allow for easy labeling with a marker or pen. 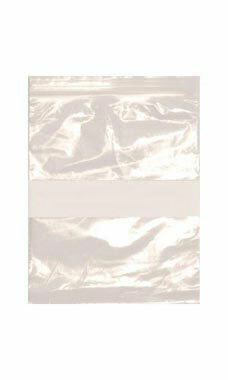 Resealable bags are great for holding all sorts of merchandise such as clips or jewelry supplies. These bags carry a wide range of uses and allow great protection from the elements. A thick reseal band will keep whatever you put inside the bag secure without fear of leakage. A storage room staple, these bags are great for overflow merchandise in your store or at home. A must have to stay organized.